With an album launch gig at Brighton’s celebrated Concorde 2 already careering towards a sell-out, Noble Jacks are every bit the antidote to Brexit gloom the nation has been gasping for. Already hailed as local heroes in their base in Sussex, thanks in no small part to their famously incendiary live shows, the band have laid out the path to their second album release on 29th March. Leading with the single Rely on Love, Noble Jacks have assembled ten tracks of resolutely upbeat, anthemic tracks which incorporate all that’s magnificent about British rock, with a side salad of riffing lead fiddle for good measure. Having played at Glastonbury, Isle of Wight Festival, Bestival and Cambridge Folk Festival over the last two years, Noble Jacks have already garnered a reputation as one of the country’s “good time” bands, with rousing, sing-along choruses and songs which guarantee escape from the drudge of everyday life and an excuse to be unapologetically euphoric. Their forthcoming single, Rely on Love, reinforces that ethic and is the rallying cry to music fans nationwide to join their ever-growing army of fans. 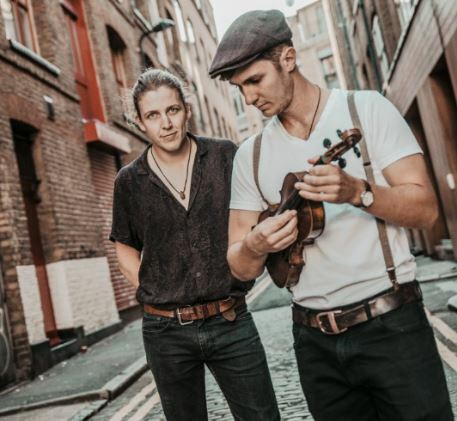 Whilst Noble Jacks are first and foremost a rock band, the roots in the traditions of their locality spread throughout their work, from the fiddle used like a lead guitar on four tracks to those which pay tribute to local blacksmiths and farriers. The “folk” Noble Jacks bring to their music is not so much a musical style as the gathering together of people – it is universal music at a time of division and mistrust. The first single release from the album is Rely on Love, available to buy from 8th February.